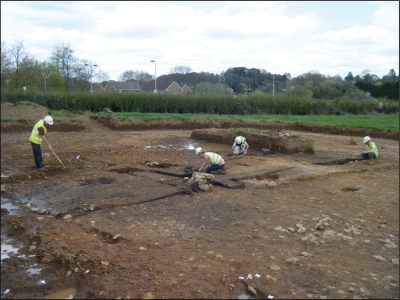 This report is an account of the remains of a medieval building discovered during excavations on a development site on the western outskirts of Ottery St Mary, East Devon. Although the site had been heavily truncated by later land use, the building retained traces of an earthen floor and overlying charcoal layers, indicating that it had been destroyed by a fire. The destruction layers in particular contained botanical remains, including timbers and a range of plants, which provide clues to the structure of the building and some of its contents. They give a rare archaeological insight into medieval domestic arrangements in this region of the country. The excavation at Island Farm (NGR 309020 095030; Figure 1) was undertaken by Cotswold Archaeology (CA) during March and April 2014 at the request of Waddeton Park Ltd, in advance of housing development by Bovis Homes Ltd. 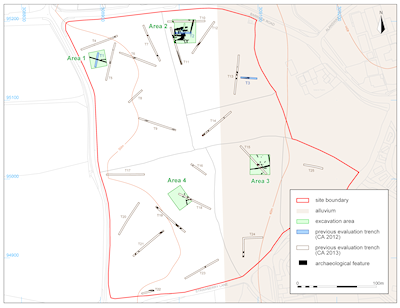 It followed earlier stages of desk-based assessment, geophysical survey and trial-trench evaluation (Cotswold Archaeology 2011; 2012; 2013; Pre-Construct Geophysics 2012). Discoveries on the 8.6ha site included Mesolithic occupation associated with tree-throw holes and a 7th-century BC radiocarbon date, as well as other features of uncertain nature containing Neolithic and/or later flintwork, along with post-medieval ditches. 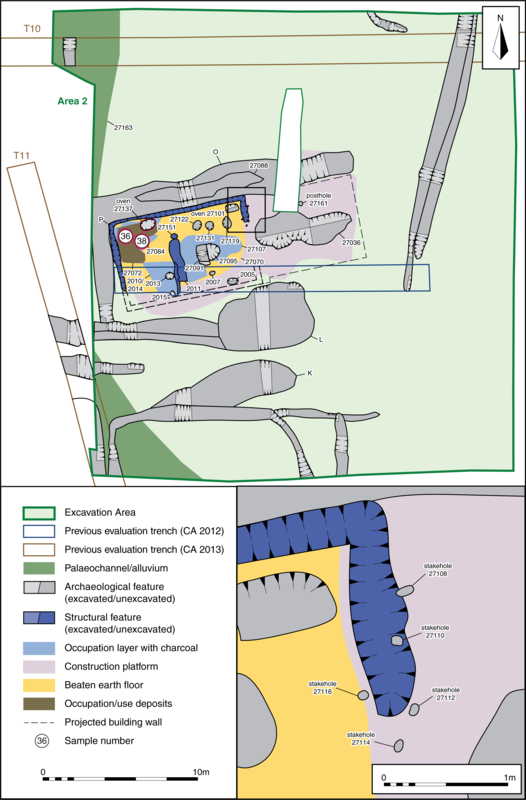 A post-excavation assessment report contains details of these findings, including all those from Areas 1, 3 and 4, which are not repeated here (Cotswold Archaeology 2016). 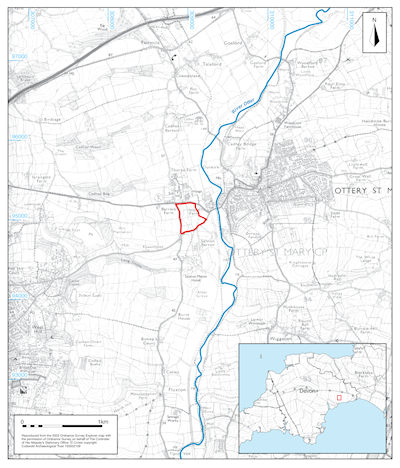 Of unusual archaeological interest, however, was the site of a medieval building (of 13th to 14th-century date) with associated ditches in the northern part of the site (Area 2), close to Barrack Road (B3174) (Figure 2). This publication forms an update to the assessment report, presenting the results of further analysis of the identity and distribution of the botanical remains in the building. To enable the reader to examine the nature and distribution of the material within the building, several of the samples and features on the accompanying plans link to exploded images of the data. These points are outlined in red. There is also to facility to download data tables on all the charcoal and charred plant remains from the building. 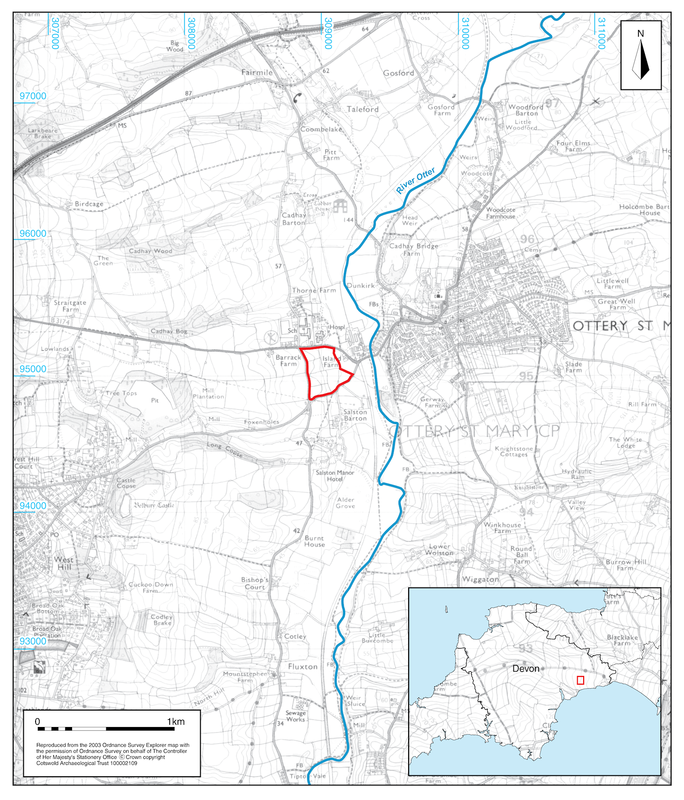 The development site straddles the floodplain and first river terrace of the Otter, the river lying c. 150m to the east (Figure 1). The land slopes from a height of 51m OD on the terrace on the western side to 39m OD on the floodplain; the underlying geology was shown to comprise river terrace deposits of sand and gravel, overlain by alluvial silts to the east (Figure 2). 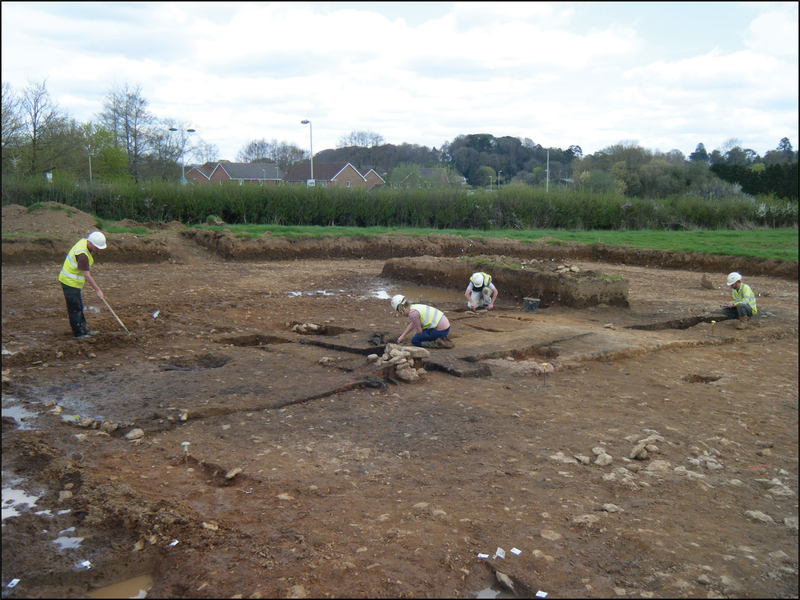 Soil stripping in Area 2 revealed a silted-up palaeochannel or embayment running approximately north to south immediately west of the medieval building, and cut by archaeological features (Figure 3 and Figure 4). The building, at c. 44m OD, therefore would have lain between the margin of the floodplain and a former watercourse, which, while inactive, presumably remained prone to wetness.